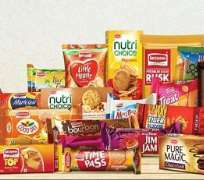 FMCG major Britannia Industries has shortlisted four countries – Nigeria, Egypt, Myanmar and Bangladesh – for the expansion of its overseas operations, a top company official said. The company hopes to begin operations in one of them in the next financial year and in another in the following year. The Kolkata-headquartered company has plans to go for either joint manufacturing with a local firm or acquisitions, where ever it is possible, in the new markets. Besides, Britannia Industries would enhance its products portfolio by launching croissants by the end of this year and expand its offering in the value-added segment in the dairy business, where it aims to be a niche player in the drinkable. “We are looking for two more countries to enter. Our commitment is to enter into one new country every new year,” Britannia Industries Managing Director Varun Berry told PTI. As part of overseas expansion plans, Britannia Industries would locally manufacture its range of products to avoid high import barriers either through acquisition or through joint manufacturing. “We would look at some kind of manufacturing locally as these countries have very high import duties, whether it is Nigeria, Egypt and Bangladesh, we would have to make sure that we do some local manufacturing,” he added. He further informed that Britannia’s plant in Nepal would be operational by the end of this fiscal. “We expect our Nepal factory, which we are putting in, to get commercialised by the end of this fiscal,” he added. Besides, Britannia Industries operates two factories in the Middle East. According to Berry, presently Middle East business is “subdued” because of the political turmoil, but the company has gained market share. About the expansion of the product portfolio, Berry said that the this fiscal would be a “landmark” year for the company, which would determine its future for the next 5 to 10 years. “Lot more is coming up. We have croissants launch coming up in the fourth quarter. We have some other new categories, which we are looking at, would come in Q4. We have some new formats and completely new designed products in cakes,” he added. It is also starting milk collection at its Ranjangaon facility, which would be a hub for its dairy products manufacturing.